One sweet, one savory. 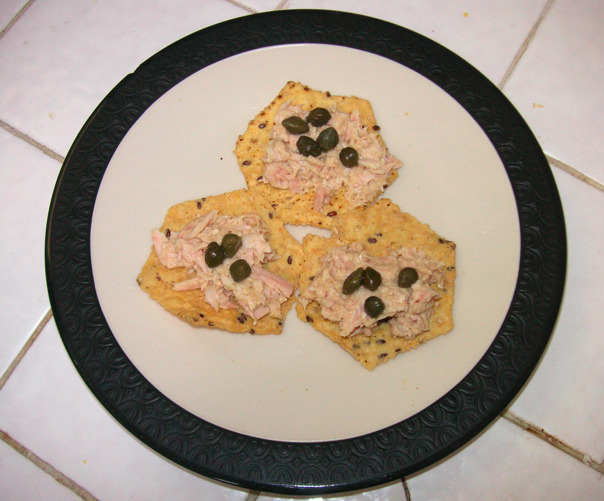 A friend asked me recently for a quick starter she could bring to a dinner party and I suggested tuna with olive oil and capers on my new favorite chip—a multi-grain tortilla chip from a company called Food Should Taste Good (I know, genius). 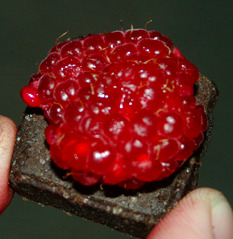 For a post-dinner snack: raspberries and chocolate wafer cookies (I love the ones from Newman’s Own Organics). Mr. MVP came out last night with the raspberry on the cookie and called it berry caviar. I’m hungry now! That raspberry idea is very clever.